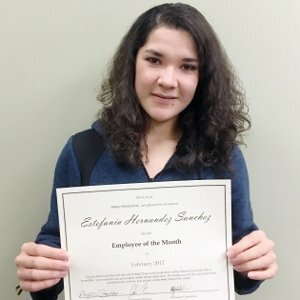 Estefania began working with Hired Hands in April of 2014 after earning her CNA certificate at Santa Rosa Junior Collage. She has worked with a number of clients ranging in several different levels of care. Thank you Estefania! Your commitment makes life so much better for our clients!